Solihull Medical Cosmetic Clinic offers the latest face rejuvenation treatment, which should only be administered by a doctor. Over time, skin loses its full firm youthful appearance. This is the result of a natural ageing process. Dr. Sagoo has treated many patients with this product. In time the skin is damaged, thinned and loses its natural elasticity. Fat tissue, which also helps fill the face out, is lost. The loss in skin volume can make the face look thin and narrow, making you look older than you are. Polylactic acid is a volumising substance, which may help to restore facial contour and improve the appearance of lines and wrinkles without surgery. 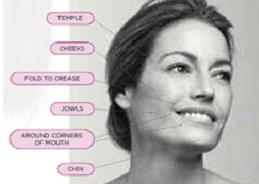 Polylactic acid works differently from traditional hyaluronic acid fillers. Polylactic acid is a unique collagen replenishing treatment that may gradually and subtly reduce lines, wrinkles and folds. 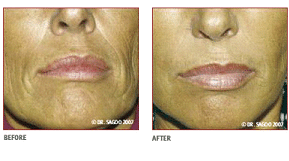 By helping to replenish your own facial collagen and restore lost volume, it may give you a fuller, more natural look that can last for up to twenty five months. The result is often a natural looking improvement (unlike surgical options) that can last up to two years. Usually, approximately three treatments are required at four week intervals, and results are usually noticeable after about six weeks. Side effects are similar to those of filler injections (i.e. bleeding, tenderness, redness, bruising) and usually resolve in about two to six days. Dr Sagoo will regularly review your progress after each treatment until the correct results are achieved. Polylactic acid treatment may help to improve most areas of your face that are concerning you, particularly deeper lines, wrinkles and folds. On average, three treatments are required, and results should be noticeable after approximately six weeks. However, in some patients, getting the desired results may take longer or require more treatments. This product is derived from fruit acids, and aims to restore youthful facial contours and reverse the appearance of facial wasting. Polylactic acid injections can be combined with other treatments, such as muscle relaxing injections and injectable hyaluronic acid fillers, to achieve a complete non surgical liquid facelift.